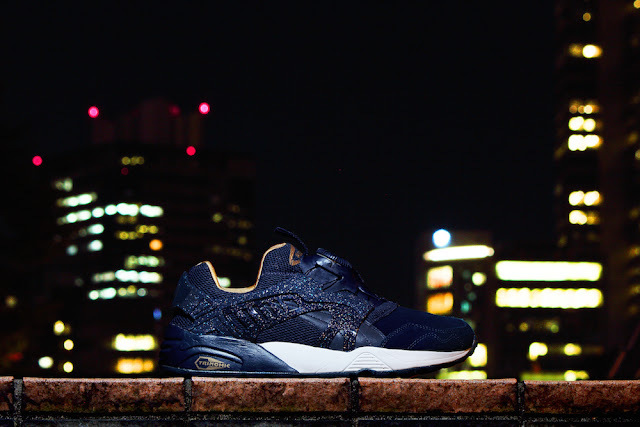 PUMA revealed its second collaboration with renowned Japanese sneaker boutique Atmos. 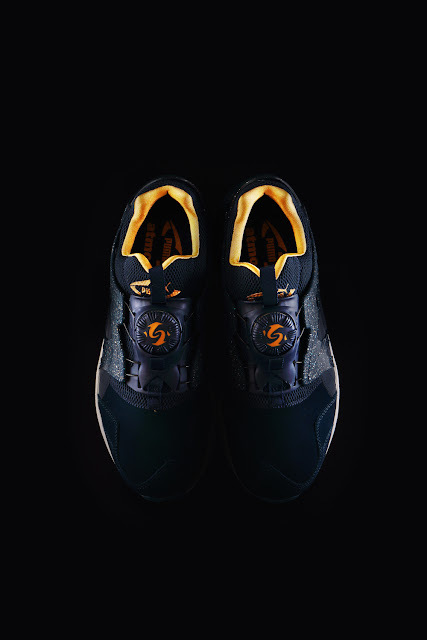 The Trinomic running classic DISC Blaze gets a celestial splash over with an iteration inspired by Venus, the brightest natural object in the sky after the moon. The PUMA DISC Blaze Venus remains true to the original silhouette of 90’s icon with its upper decked out in astrological theme. The DISC system dial, in blazing orange, represents the morning star enclosed by dark blue suede upper and a speckled plastic cage that represents the Milky Way. A crescent moon is embossed on the heel along with the PUMA cat logo. The PUMA DISC Blaze Venus retails for R2 899 and will be available exclusively through PUMA SELECT stores in Bree Street, Cape Town and Braamfontein, Johannesburg from today (10 November 2015).